IF we are to achieve Vision 2030 as a nation, our industrialisation strategy must be anchored on three key pillars, namely industrialisation, competitiveness and regional integration as we turn the country from an exporter of minerals and primary products to a key global net exporter of processed goods. We must not only create value chains locally across sectors, but also across borders while upgrading existing and developing new infrastructures and expedite the creation of significant jobs and trade opportunities locally and within the region. We must realise that Africa has been trying to industrialise since 1951 with the independence of Ghana and its failure has really not been about the lack of resources, but about the lack of visionary leadership and political will to do the necessary. Corruption and the greed for power without responsibility have arrested Africa’s developmental objectives. In our case, we now have vision 2030, which seeks to create an upper middle-income economy with a $65 billion GDP. 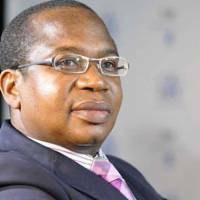 This vision can only be realised through a rapid industrialisation strategy as we move away from low income primary production to high income value addition and beneficiation as stated both by President Mnangagwa and Minister of Finance Professor Mthuli Ncube. An industrial revolution in Zimbabwe is possible, but this can only happen when we radically change our mindsets and rebuild and reform our institutional capacity and capabilities. In addition, specific conditions must prevail to expedite the same. In the first instance, any regional integration and industrialisation must be underpinned by political stability, including the provision of adequate resources and skills. Countries can never live to their full potential where there is no peace, political and macro-economic stability. In addition, we will need Government policies that are consistent and constructive cooperation between Government and the private sector. We will also need a social pact among stakeholders so that everyone is working in the same direction. It is a fact that Zimbabwe has actually de-industrialised over the last 15 years since the fast track land reform programme of 2000. To restore the manufacturing sector’s contribution to the GDP of Zimbabwe to about 30 percent and its contribution to exports to as much as 50 percent. To create additional high-income employment in the manufacturing sector on an incremental basis and reduce unemployment levels. To increase capacity utilisation in all sectors of industry. To re-equip and replace obsolete machinery and new technologies for import substitution and enhanced value addition. To increase manufactured exports to the Sadc and Comesa regions and the rest of the world. To promote utilisation of available local raw materials in the production of goods. The most critical issues are to increase investment inflows into our industrial sector and to support and encourage free enterprise. The private sector must lead the new growth trajectory. The idea of an industrialisation venture capital fund as suggested by the Minister of Finance will, therefore, be key. Added to this are principles of policy certainty and consistency which avoid sudden changes to investment regimes and the creation of the appropriate legal instruments which protect the value and ownership rights of the investors. These are the universal cornerstones of sustainable economic development. A stable and well-regulated financial services sector is also an important factor to promote savings, access to capital and industrial growth. This means that institutions such as the reserve bank must not only be professionally managed, but must be depoliticised, have utmost integrity and be beyond reproach in all their dealings. Our commercial banking sector must also be well-regulated in order to attract deposits and savings which can in turn be on-lended to our business sector at affordable cost. The high cost of credit and bad debts in Zimbabwe remain barriers to industrial revival. It is an open secret that Zimbabwe’s industrial sector is operating well below capacity due to several reasons, the main ones being lack of access to credit for working capital, competition from cheaper imports, dwindling disposable incomes and, therefore, low demand for products, the high cost of energy, Government policy inconsistencies and out-dated equipment. The President is well aware of these constraints and the recently published stabilisation blue print by the Minister of Finance takes these issues into account in proffering the appropriate solutions. Out trade deficit is worsening as we continue to import an estimated 40 percent non-essential goods which could be manufactured locally. South Africa remains our main source of imports followed by Asia. The travesty of it is that we still import food despite the fact that we have all the necessary land assets and agricultural skills to produce and process our own food and even export to the region and overseas. The Zimbabwe we want to create must focus on value addition yes, but it must not be a religious idea. We will value add where it saves us and export raw materials where it is more profitable to do so. The same applies to import substitution. We must take a balanced non-political view of things which maximise our advantages while also maximising our export earnings. There is need of course to optimise the value chain on specific products and in specific industries, but we must take a clinical approach so that we do not shoot ourselves in the foot and lose markets. On the issue of technology transfer and research and development, we will need to attain global competitiveness and to re-equip our industries with capital equipment to match global technology. Greater financial support for innovation and technology will be necessary in order to contribute to the national target of increasing and sustaining research and development expenditure to at least 2 percent of GDP. Industrial establishments must also be encouraged to use technologies that minimise industrial emissions, the discharge of solid waste, and improve waste water management. The historical non-alignment of political and economic objectives has cost this country time and money. The Second Republic is based on putting the economy first and this is necessary. The new economic development agenda envisages inter-alia private sector participation in all the key sectors of agriculture, mining, manufacturing and the services sector; establishment of strong backward and forward linkages between aforementioned sectors, completion of a legal framework on PPPs and rehabilitation and expansion of key infrastructure. In fact, the African Development Bank produced a comprehensive and well-researched report in 2014 on the prerequisites for the re-industrialisation of Zimbabwe in the next 10 years that was then estimated to cost $14 billion. Its successful implementation will mainly be hinged on effective institutional arrangements and project management capabilities, including dealing with corruption. The country obviously has a skilled deficit due to exodus of many skilled Zimbabweans who are now all over the globe. We will need to attract these skills back home through tax incentives and put into place soft landing returning resident policies because those Zimbabweans in the Diaspora can indeed be our competitive advantage as we try to re-industrialise and catch up to international developments both in production methods and new technologies. Nations in Africa are failing because they are not fully utilising their resources and their human capital potential. In the Zimbabwe we want, we must put human capital development at the centre of things as China is successfully doing. The issue of Special Economic Zones is quite an interesting innovation which can indeed expedite industrialisation and export growth. SEZs can work well to attract capital and new companies, but we need to ensure that they do not result in skewed development. This will require a balanced developmental approach which ensures that resources are allocated fairly and efficiently to those areas that do not fall under this special status. In conclusion, Zimbabwe has no lack of ideas on how to re-industrialise, the main issue is always political will. Fortunately, we now have the political will and a President who is well aware and sensitive to the prerequisites of a strong industrial base in order to increase incomes and create high employment levels. The Zimbabwe we must create is significantly different from the past. Our objective must be to renew our institutions both in the public and private sector so that they become inclusive and geared to nurturing a vibrant and viable industrial sector. Transformational leadership and mindsets at all levels will be key in order for us to achieve our objectives of Vision 2030.